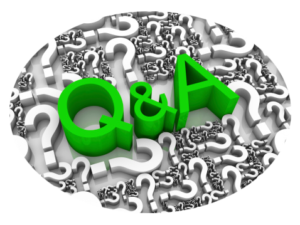 Welcome to our Questions and Answers Page. On this page we have posted some of our most commonly asked questions and the answers to those questions. If you need more feedback or are ready to move forward with service either email us or give us a call. Q: Do you fix Laptops? Q: If you fix my computer am I going to lose my data and have to reinstall my programs? A: The only time that you should lose your data and reinstall your programs is if we have to format the hard drive and reinstall your operating system. Which removes all of the information from your computer. We have been made aware that this is a major concern around here. We go through every repair attempt possible before wiping out your data and reinstalling the operating system. When we do have to do this to repair your computer we inform you of this prior to beginning this repair method and also offer to backup your data before proceeding with this repair method. Q: Do You Service Businesses As Well As Home Users? A: We do service businesses as well. We are well versed in repairs on standalone computer systems, networking issues, and servers as well. Q: Do you offer pickup and Delivery Of My Computer? A:Yes we do for a fee of $25 we will come to you and disconnect your computer. Then bring it to our shop and diagnose/repair your computer. Call you when it is ready to coordinate an appropriate time to drop off your computer. Come out to you and hook your computer back up for you. Q: Do you repair Phones, Ipods, and Tablets? A: We do repair mobile devices like phones, Ipads, and Tablets. Also if you are having problems operating the device we can assist you with that too. Q: Do you repair printers? A: We do not repair printers but we do have partnerships with multiple printer repair and service companies in the area that can assist you with that. Q:Do you charge a diagnostic fee to tell me what is wrong with my computer? A:Yes we charge a diagnostic fee of $35.00. That fee is only applicable if you decide that you are not going to have the recommended service completed. If you choose to have us complete the recommended service that fee gets waived. Q:Where is your store located and what are your hours? A:We are a mobile based business. We come to you to resolve your computer problems. We provide service Monday through Friday from 9:00 AM to 5:00 PM. Q: Is Emergency After Hours/Weekend Support available? A: Yes We Offer Emergency Service and provide support on the weekends by appointment only at our after hours and weekend rates. Q: How long will it take for you to diagnose my computer? A: We generally complete a full diagnosis within two hours of having a technician look at your computer. Q: How long will the repair process take? A: Most repairs are completed within 2 business days. If parts are required to complete the repair than it may be delayed due to shipping delays. Q: How can I keep my computer running at peak performance? Q: Do I need to bring my computer in for you to repair it? A: No we can connect to your computer over the internet and repair it no matter where you are.